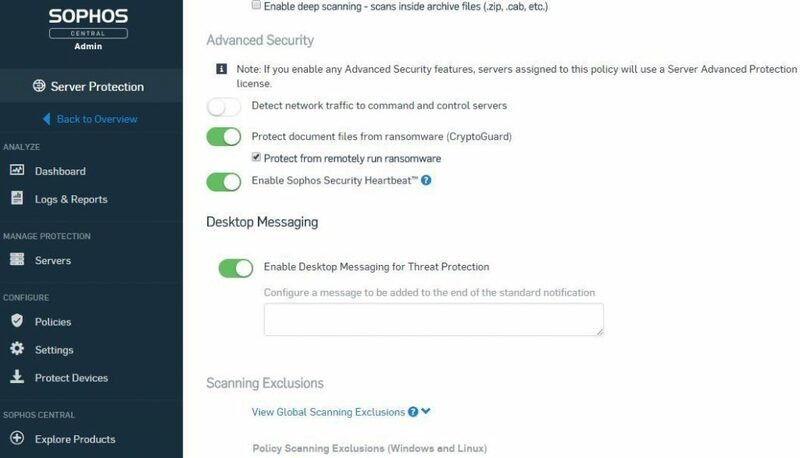 In our continuing effort to offer the best security solutions available, Vivio is now offering our clients the option to upgrade to Sophos Central Server Protection Advanced. Sophos Central Server Protection Advanced offers several additional security features over the Standard edition, the most notable of which is probably the Anti-ransomware Protection, which includes protection from encryption-based attacks, and both internal and external ransomware attacks. The Anti-ransomware Protection feature is currently only available on Windows servers, but there are benefits for Linux servers as well, including Malicious Traffic Detection and Web Control. Thanks to Vivio’s close partnership with Sophos, we are able to offer this upgrade for only $5/mo more than Sophos Server Protection Standard edition, regardless of whether you’re getting Standard bundled with Managed Support or on its own. If you have any questions, please don’t hesitate to contact us and we’ll be happy to help!